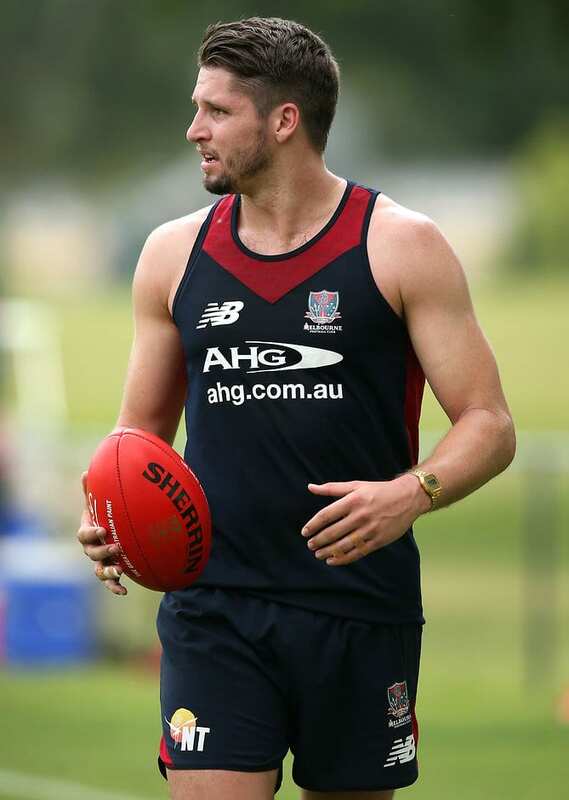 BOOM Melbourne forward Jesse Hogan has put contract talks on hold until the end of the year. The Rising Star winner is not out of contract until the end of 2017 but his future is already the centre of much speculation. The Age has reported Hogan's manager, Jason Dover, and the Demons agreed this week to put discussions on hold until year's end. Dover said uncertainty over the next AFL collective bargaining agreement, which expires on October 31, was among the reasons for the decision to delay talks. The new CBA will include changes to the total player payment. "We just felt that he has played one year of good footy and he is only young so he needs time to just focus on his footy and worry about contracts later," Dover said. "The decision to put contract talks on hold has been made to allow Jesse to fully focus on the season ahead with the Melbourne Football Club and to play to the best of his abilities within the team. "We felt that the ongoing speculation on his contract would not only be a distraction to Jesse but also to the Melbourne Football Club." Melbourne coach Paul Roos recently told AFL.com.au Hogan's decision on his future could centre on factors outside the club's control. Roos said the West Australian had to be confident, among other things, the Demons were moving in the right direction. "It is up to Jesse to believe that [success will come] but also be comfortable in Victoria and Melbourne and with his friends and things like that, so some things we can control, some things we can't," Roos said. Dover said Melbourne had created a great environment for the 21-year-old since drafting him. "There will be a lot of factors we consider when renewing contract discussions at the end of the year, not the least being the future TPP [total player payments] structures that will form part of the new CBA that is set to be negotiated during this season," he said. "It's always better to negotiate with all the information and we have the time to be able to sit down and talk when we have certainty of the total picture."